I am a Chartered Legal Executive specialising in complex personal injury and medical negligence claims. 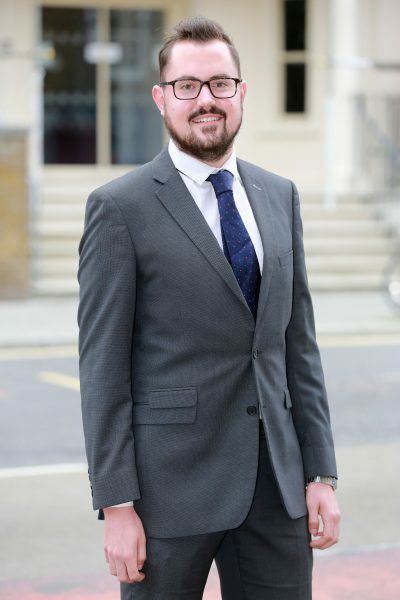 I only ever act for the injured party and currently act for clients with a wide variation of life-changing injuries including brain injury, spinal injury and cases where someone has sadly died. I am recognised by The Legal 500 2018 as a ‘next generation lawyer’ and by Chambers and Partners 2019 as ‘an associate to watch’. Sources interviewed described me as having: ‘a warm approach and a good eye for the important issues‘- The Legal 500 2019; and ‘a real passion for clinical negligence’ and being ‘very keen to ensure clients have healthy and happy lives’ – Chambers and Partners 2018. I acted for Melanie Brazier on behalf of the estate of her son Steven Brazier who died from an eating disorder which could have been prevented but for failings in his mental health treatment. This case received widespread regional and national news attention and I was interviewed for the BBC about the case. Concluding a claim at a settlement meeting before trial for £3.5 million where the Claimant, a young boy, suffered a significant brain injury after a brain abscess was missed by his GP. Settling a ‘secondary victim’ case two weeks before trial. Liability was denied on the basis that the Claimant had no right in law to damages but despite this, a favourable settlement was achieved. I am also heavily involved in charity work. In 2016 I was invited to become a member of the regional steering committee of The Silverlining, a charity dedicated to empowering and supporting those with brain injuries. In 2014 I was part of a team that supported a group of people with brain injuries to travel to Namibia on a goodwill mission and volunteer in the local community. I also volunteer for Gig Buddies, a Stay Up Late project, in Brighton where I support people with learning disabilities to go to gigs.